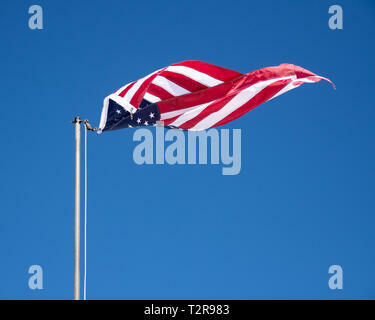 An American flag unhooked from the line twisting in the wind against a clear blue sky. 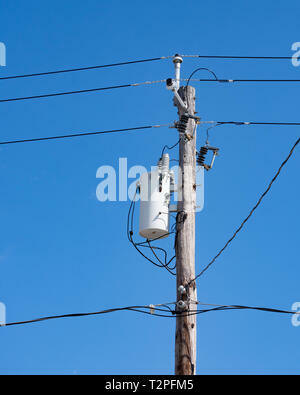 An electric transformer and transmission wires, cable TV and telephone wires attached to an old wooden power pole with a deep blue sky background. 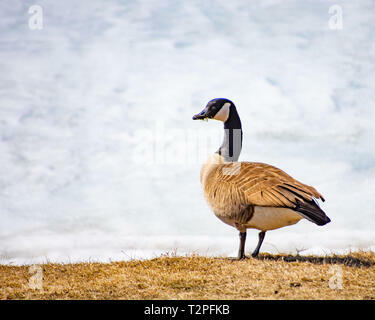 A Canada goose, Branta canadensis, feeding in a patch of brown dried grass next to a frozen lake in early spring with grass in its mouth. 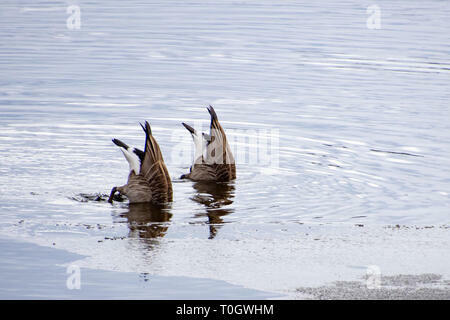 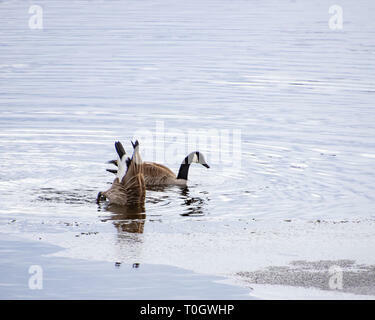 Two Canada geese feeding around sheets of ice on Lake Pleasant, NY in late winter dabbling and dipping up for underwater plants. 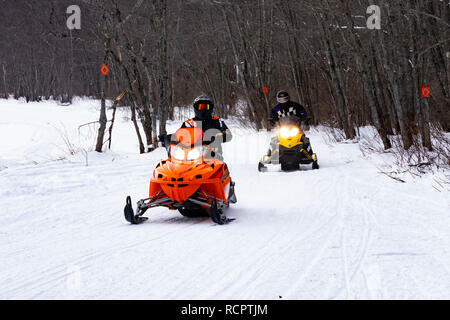 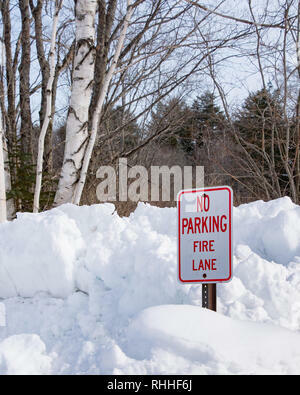 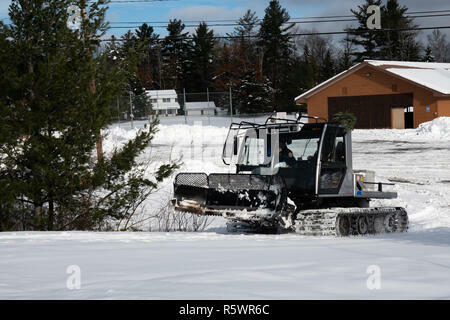 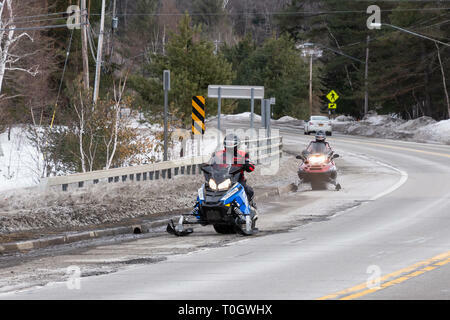 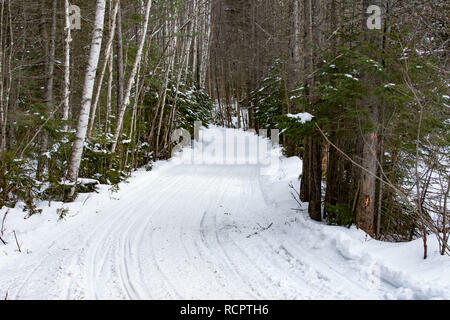 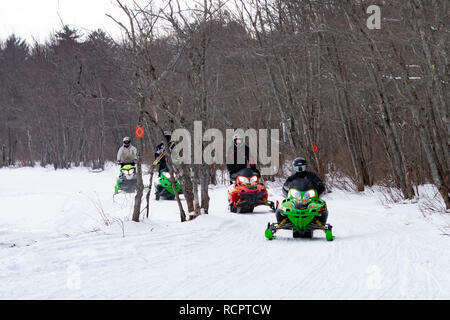 Two snowmobiles riding along the edge of a road in Speculator, NY USA between snow covered trails. 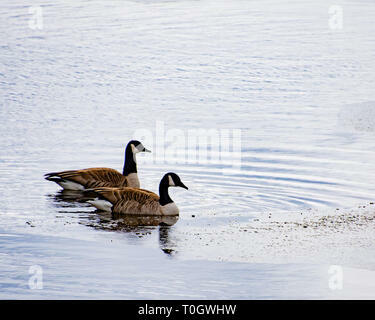 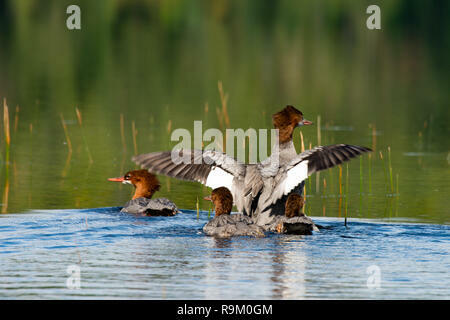 A pair of Canada geese on the edge of Lake Pleasant, NY USA in late winter with floating ice. 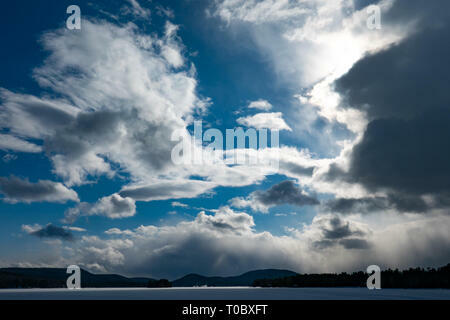 Storm clouds moving in over the sun and covering a deep blue sky with white clouds. 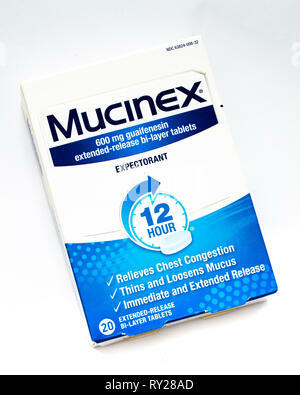 A package of Mucinex extended release bi-layer tablets to relieve chest congestion, thin and loosen mucus. 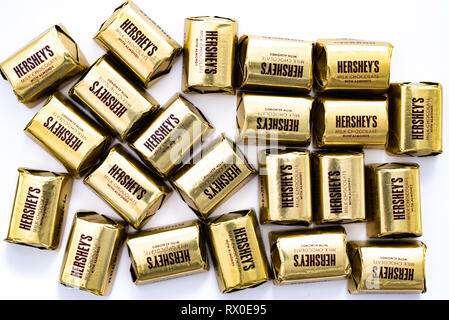 A pile of Hershey's Milk Chocolate with Almonds Nuggets in individual gold colored wrappers isolated on white. 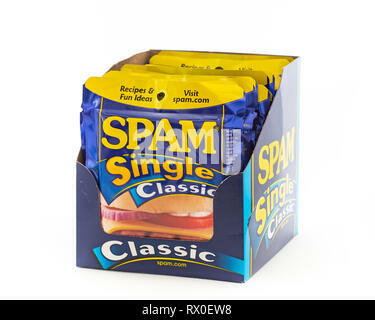 A display box of Hormel Spam Singles Classic, in individual single serving pouches. 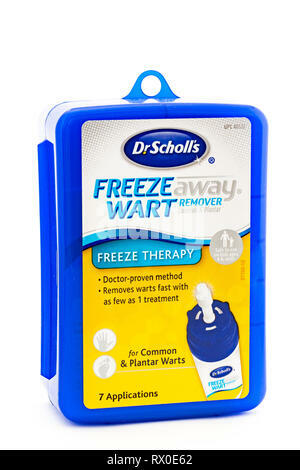 A blue plastic box of Dr. Scholl's Freeze Away wart remover for common and plantar warts. 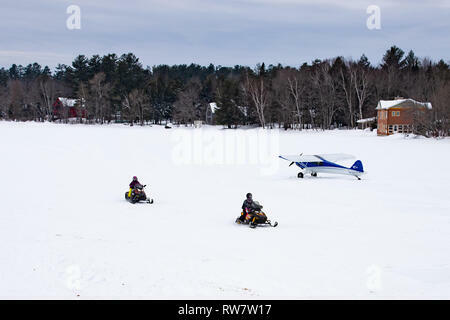 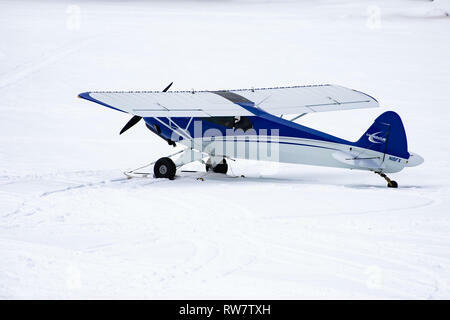 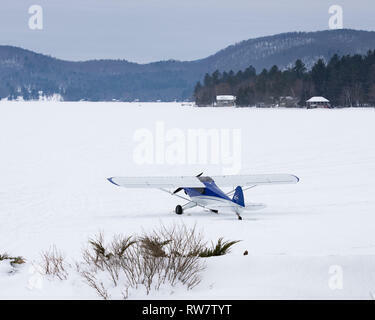 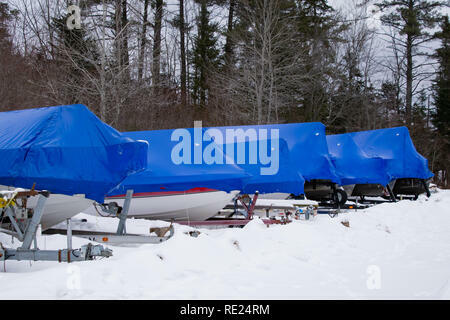 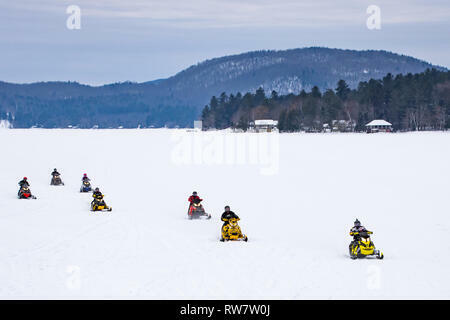 Two snowmobiles crossing Lake Pleasant in the Adirondack Mountains, NY USA past a Cub Crafters experimental aircraft on skis parked on the ice. 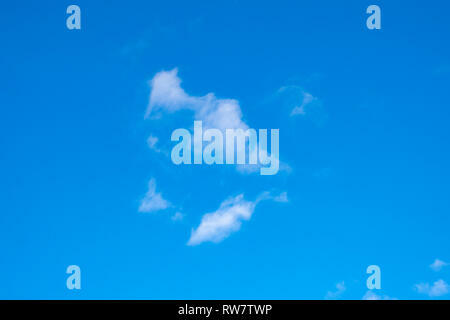 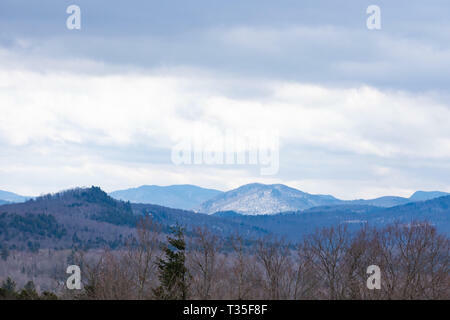 Clear blue sky with thin white clouds over the Adirondack Mountains, NY USA on a cold winter day. 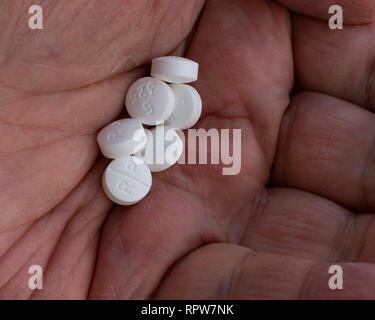 An old man's hand holding an excessive dose of oxycodone pills. 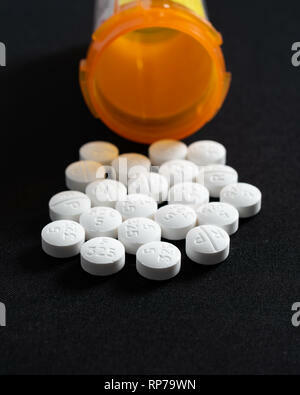 A bottle of Oxycodone - Acetaminophen, a prescription medication for pain. 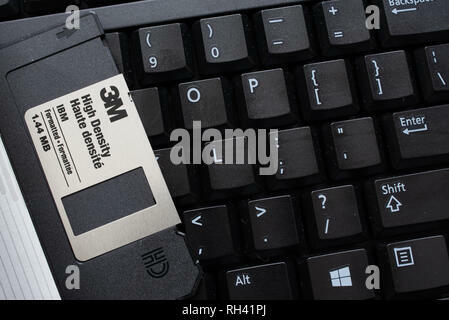 A black computer keyboard with a black 3M 3.5 inch floppy disk for data storage. 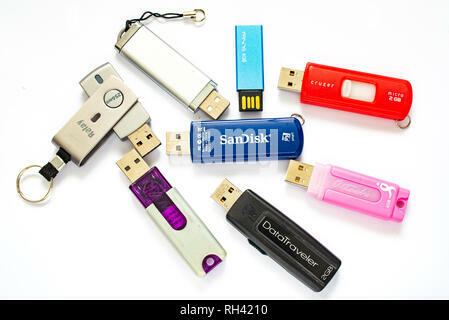 Assorted portable USB flash drives for data storage or additional computer memory. 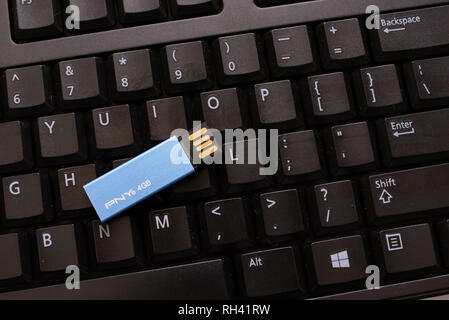 A black computer keyboard with a pale blue miniature PNY memory stick for data storage or additional memory. 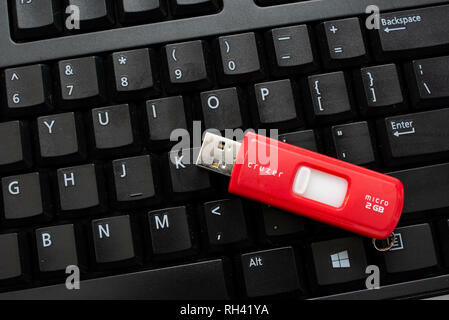 A black computer keyboard with a red cruzer memory stick for data storage or additional memory. 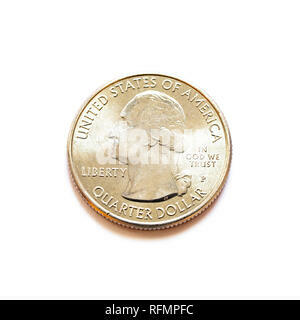 A shiny US quarter dollar coin isolated. 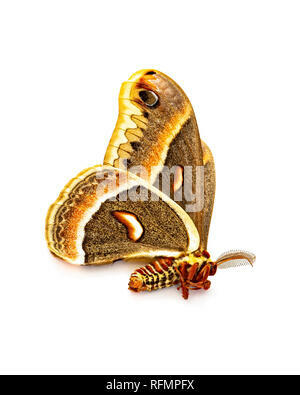 An Antheraea Polyphemus moth found dead on a sidewalk isolated on white. 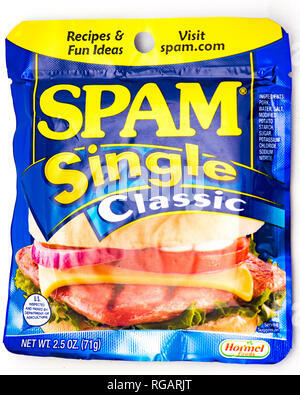 A Spam Single Classic slice packaged in a sealed pouch, a single serving of processed pork. 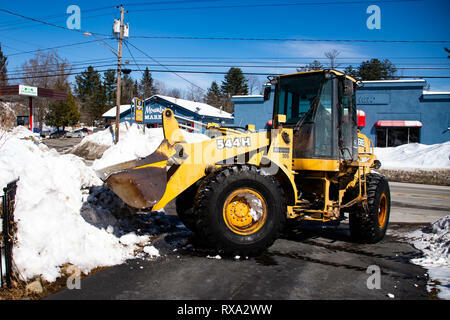 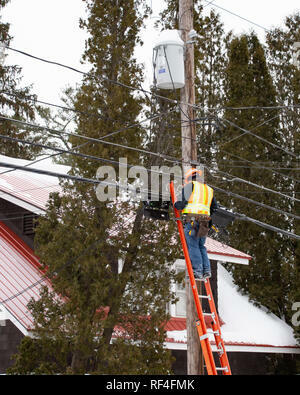 A man on a ladder working on fiber optic cable connections in Speculator, NY USA on a cold winter day. 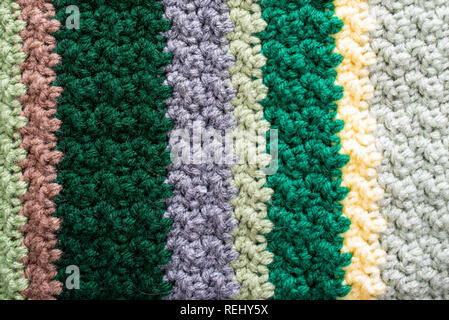 Closeup of an afghan crocheted from acrylic yarn with colors of the changing seasons, from winter into spring. 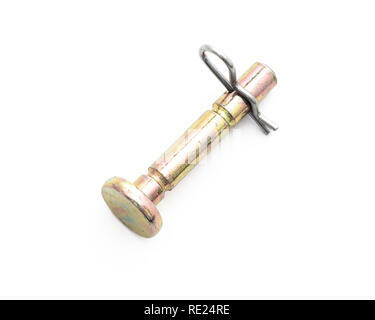 A metal allow shear pin for a snow blower with attached cotter pin. 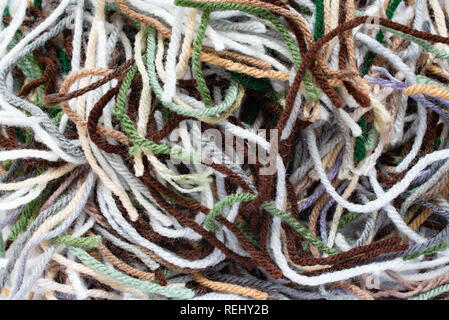 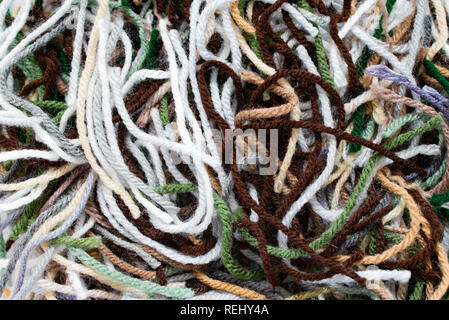 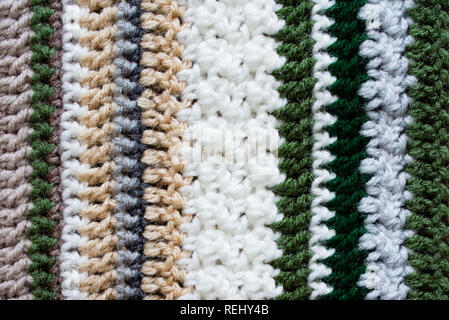 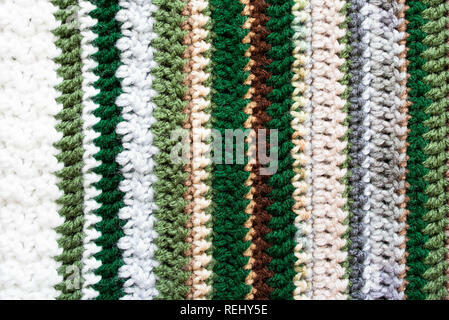 A pile of acrylic yarn pieces in many colors left over from crocheting an afghan. 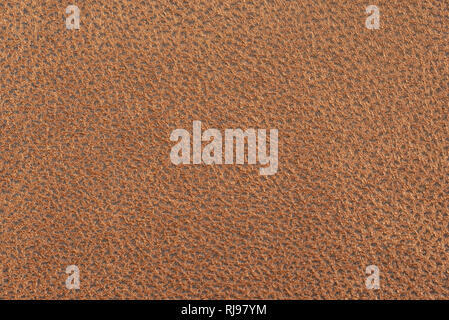 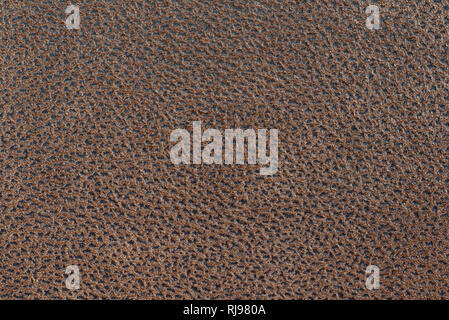 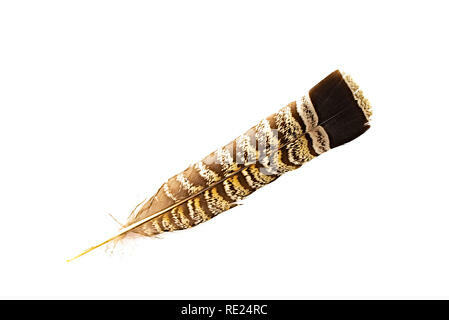 A Ruffed Grouse, Bonasa umbellus) tail feather isolated on white. 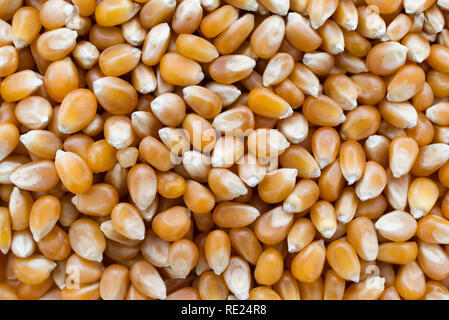 Popcorn maize close up abstract background. 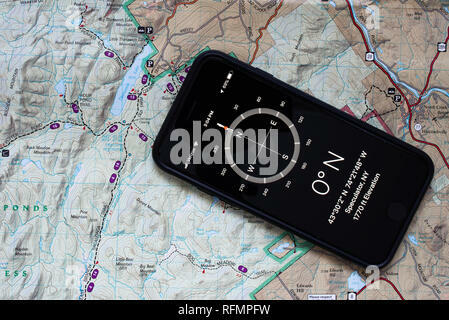 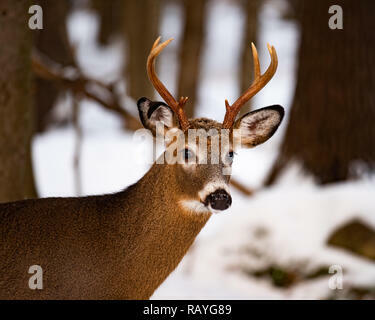 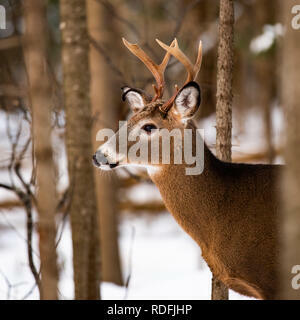 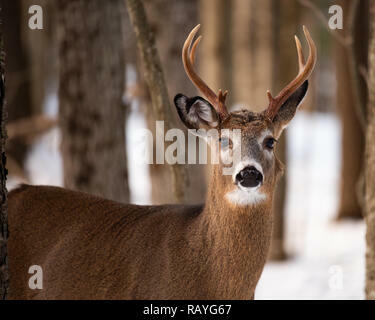 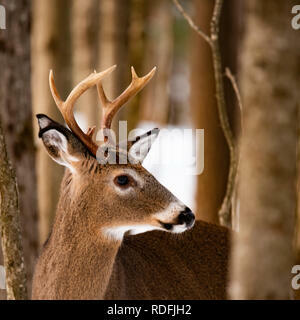 An elusive trophy whitetail deer buck hiding in the forest in the Adirondack Mountains wilderness. 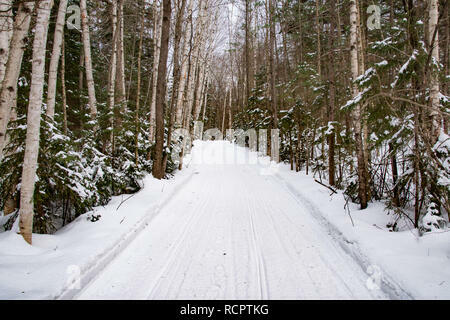 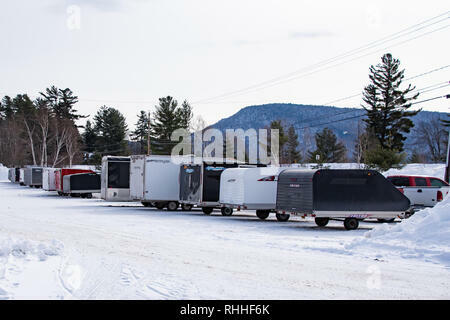 A freshly groomed snowmobile trail through the Adirondack Mountains wilderness near Speculator, NY USA. 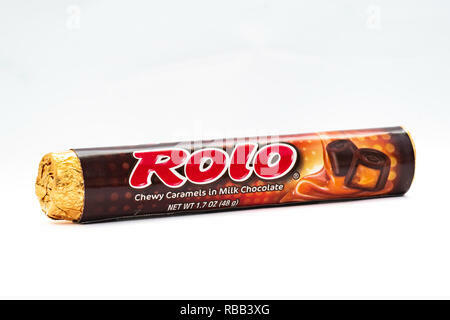 A roll of Hershey's Rolo Chewy Caramels covered with milk chocolate. 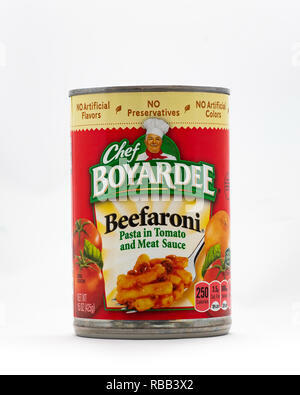 A can of Chef Boyardee Beefaroni isolated. 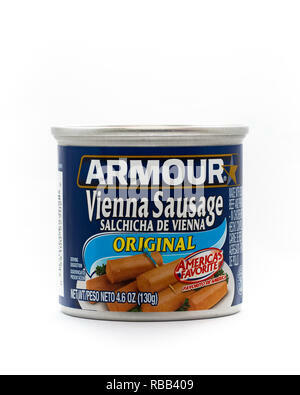 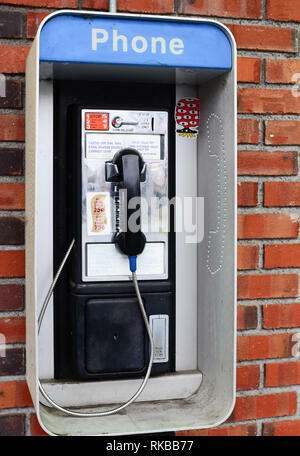 A can of Armour Vienna Sausages isolated. 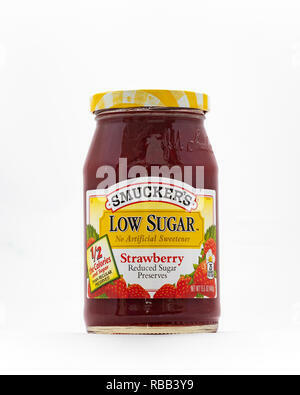 A jar of Smucker's Low Sugar Strawberry preserves. 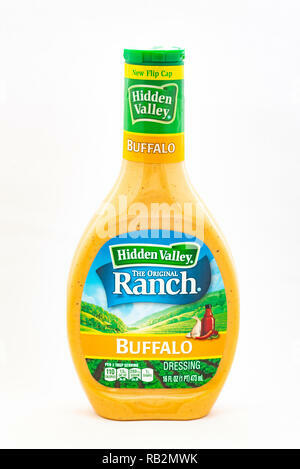 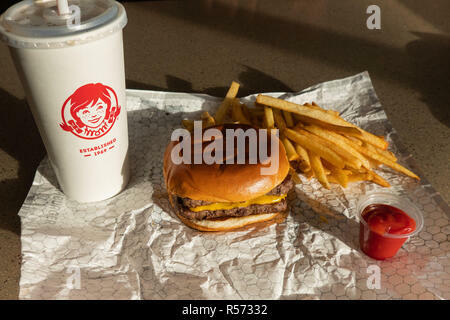 A bottle of Hidden Valley Buffalo Ranch dressing isolated. 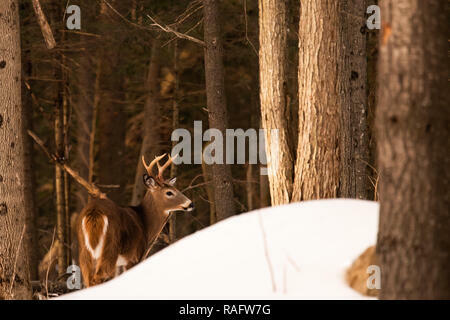 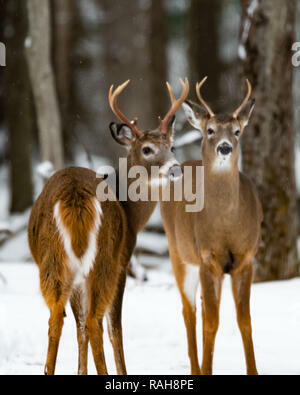 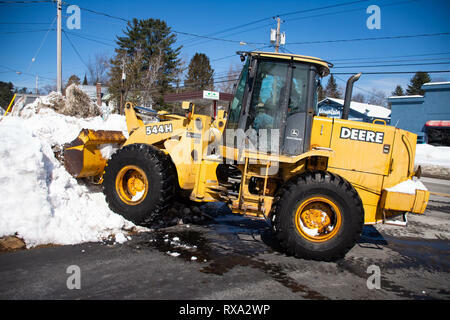 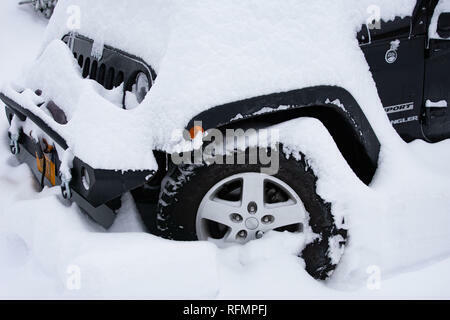 An elusive trophy whitetail deer buck hiding behind a snow drift in the Adirondack Mountains wilderness. 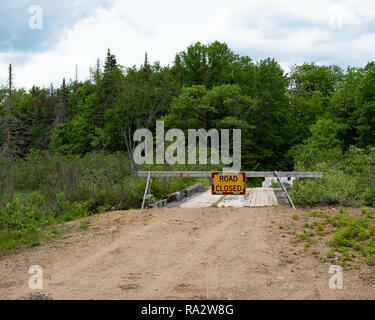 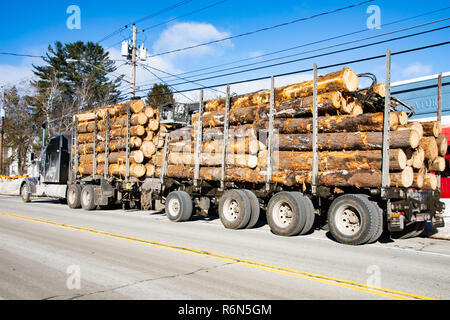 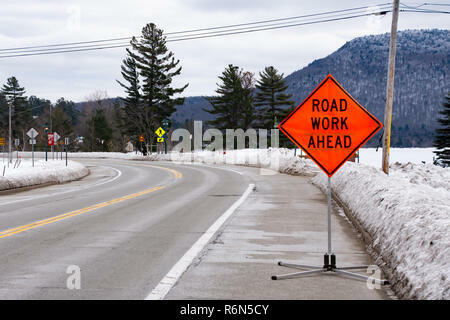 A road closed sign and barricade blocking off a condemned wooden logging bridge in the Adirondack wilderness. 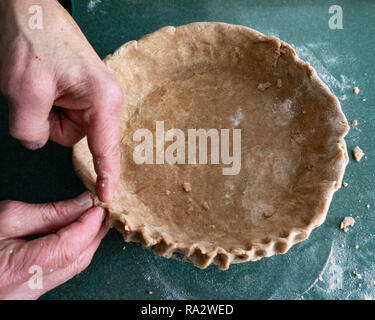 A woman's hands making a whole wheat pie crust from scratch, the old fashioned way. 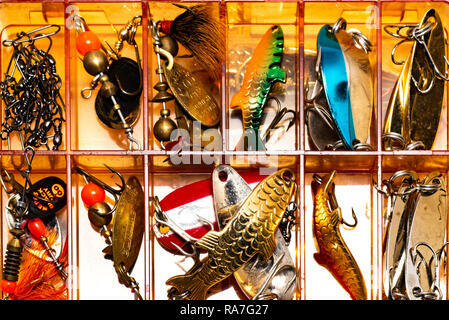 A plastic box full of artificial lures for fishing with a spinning rod. 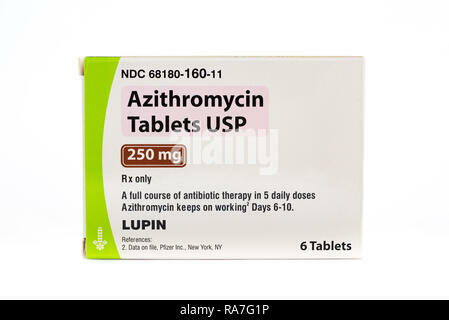 A package of Azithromycin tablets, an antibiotic therapy medicine for treating infections. 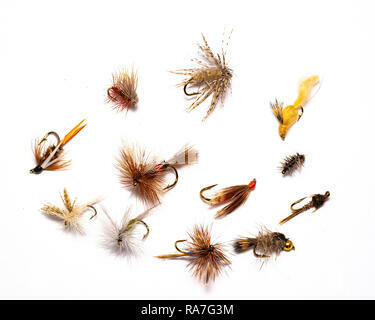 A selection of a dozen wet and dry flies designed for fly fishing for trout. 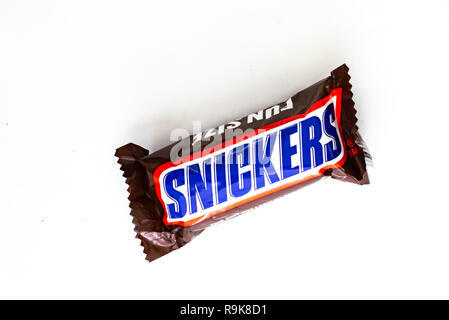 A single Fun Size Snickers candy bar isolated on white. 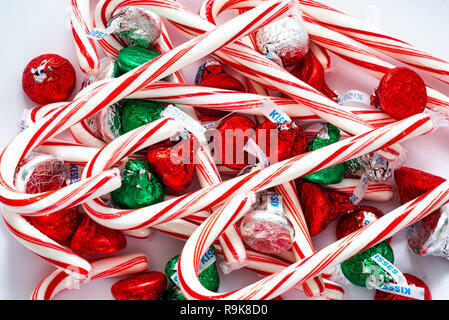 A pile pf red and white candy canes and colorful Hershey kisses for the holiday season. 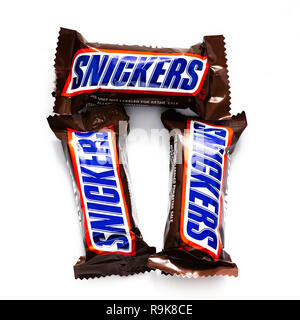 Three Fun Size Snickers candy bars isolated on white. 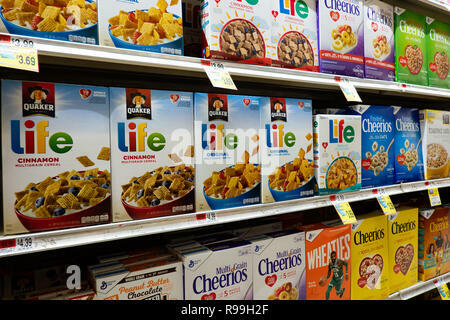 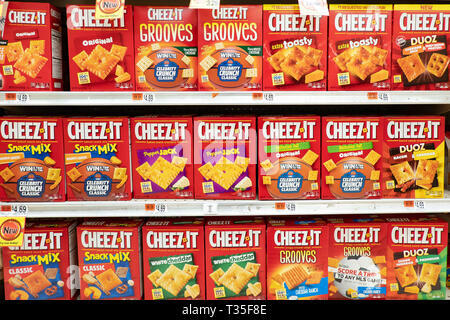 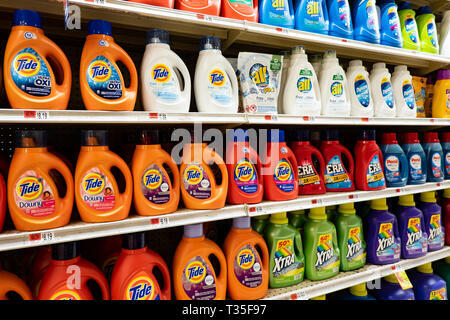 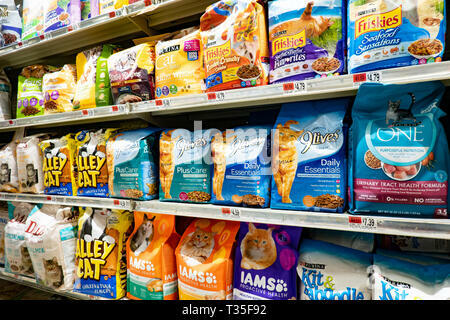 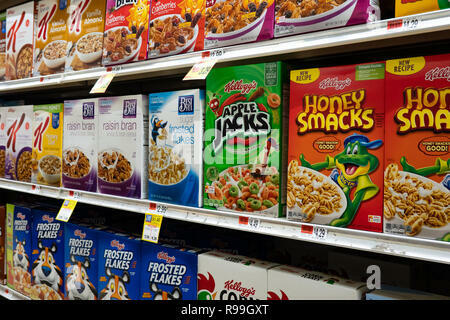 Shelves full of breakfast cereal for sale in a grocery store in Speculator, NY. 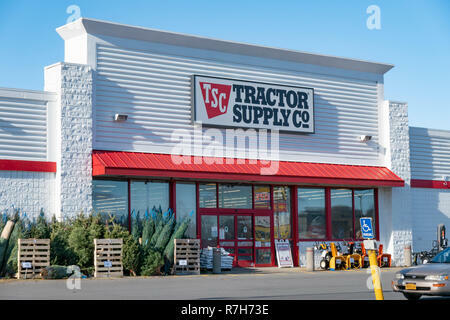 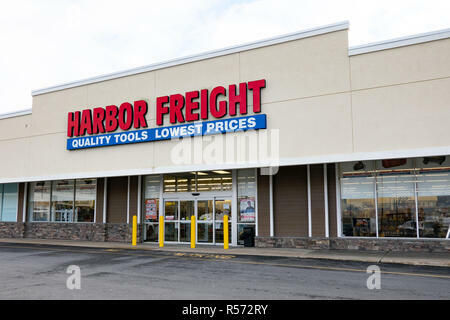 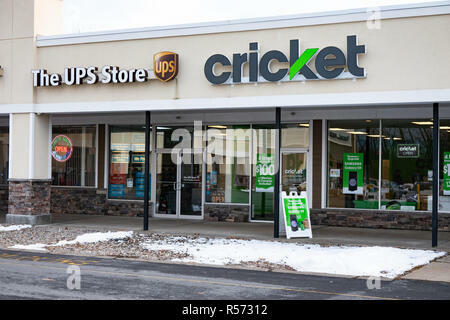 A Tractor Supply Co store in Gloversville, NY USA with Christmas trees and merchandise on display on the sidewalk. 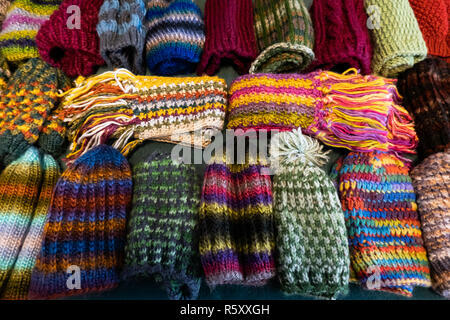 A table full of colorful hand knit winter hats and scarves for sale in Speculator, NY USA for the holiday season. 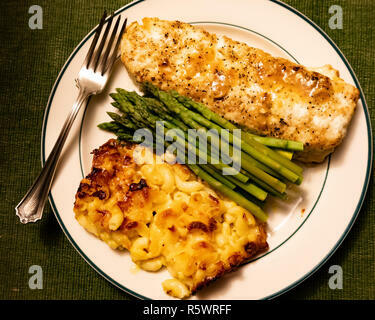 A hearty and healthy meal of a large piece of baked haddock, fresh asparagus, and baked mac and cheese on a white plate with a silver fork. 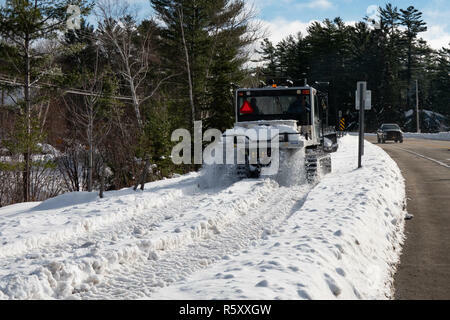 A Prinoth Husky snow groomer driving down the sidewalk, part of a snowmobile trail, in Speculator, NY USA in the Adirondacks Park. 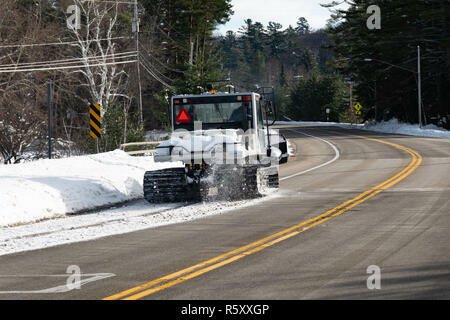 A Prinoth Husky snow groomer driving down the side of the highway to cross a bridge in Speculator, NY USA part of a snowmobile trail. 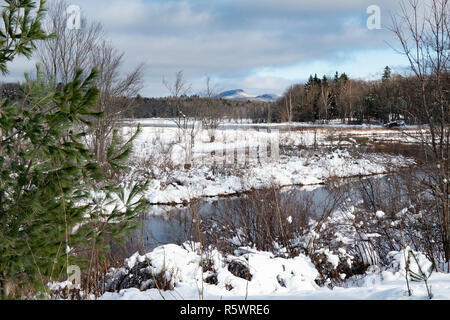 A winter landscape or snowscape of the Sacandaga River valley near Speculator, NY USA in the Adirondack Mountains. 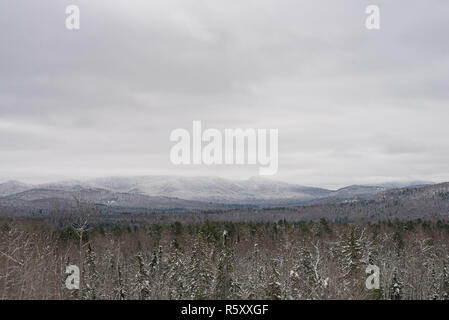 A winter landscape or snowscape of the Adirondack Mountains near Indian Lake, NY USA in the Adirondack Park. 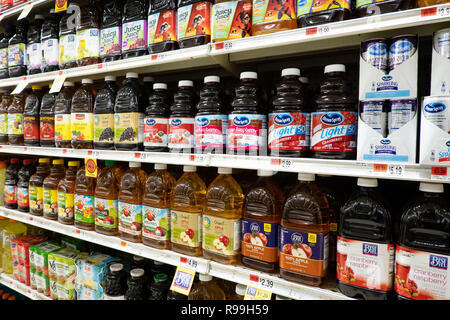 A shelf full of bottles of Jack Daniel's Old No. 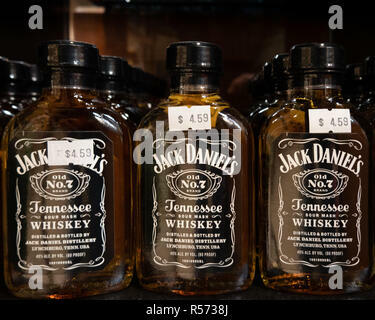 7 Tennessee Sour Mash Whiskey for sale in a liquor store. 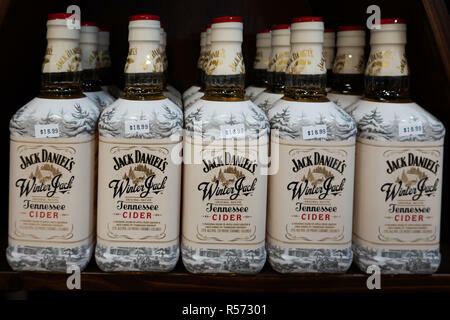 A shelf full of Jack Daniel's Winter Jack Tennessee Cider for sale in a liquor store. 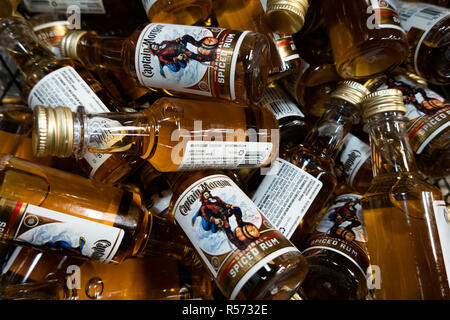 A basket full of miniature bottles of Captain Morgan Original Spiced Rum for sale in a liquor store.